Romania's trade deficit widened in April as a lending boom and rising wages encouraged citizens to buy more imports, Bloomberg reported. The shortfall was 2.02 billion euros ($3.2 billion) in April, compared with 1.61 billion euros in the same month of last year, the Bucharest-based National Statistics Institute said in an e-mail today, based on preliminary data. 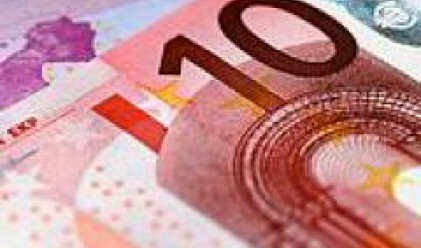 The gap compares with a revised gap of 1.97 billion euros in March. Rising wages, increasing household borrowing and the elimination of import restrictions since Romania joined the European Union last year have encouraged consumers to spend more money on imports. Net wages in Romania surged an annual 24.8 percent as household debt rose more than an annual 60 percent. The leu has weakened more than 11 percent against the euro in the past year, helping exports grow faster than imports. Imports in April rose an annual 24.2 percent to 4.76 billion euros and exports increased 25.1 percent to 2.74 billion euros, the institute said. In the first four months of the year, the deficit widened to 6.9 billion lei from 6 billion lei, the institute said. The trade deficit is the main component of Romania's current-account gap, which widened in the first quarter to 3.52 billion euros from 3.17 billion euros a year earlier. Fitch Ratings and Standard & Poor's have lowered their outlooks on Romania's credit rating, citing the gap. The trade data reported today includes the cost of freight and insurance for imports. The institute didn't report figures that subtract those costs.